Finally, after all this planning and work you get to plant your vegetables. Now you only have to take care of them and wait for the delicious results. 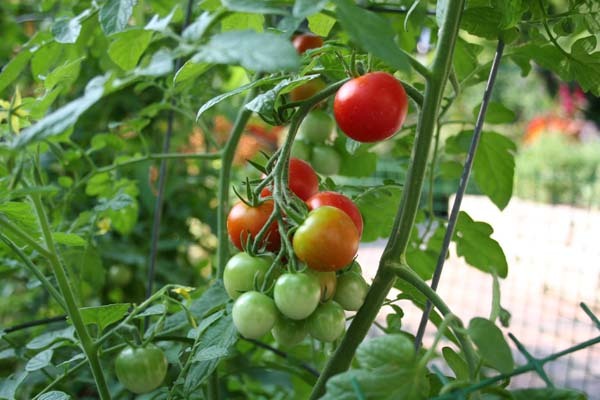 Proper watering and weeding is necessary for your garden to stay in tip-top shape.Vegetables planted on level ground usually require watering once or twice a week (and a total of about one inch of water per week). Vegetables in raised beds might need watering a little more often because the beds tend to drain faster. You should try and prevent weed seedlings by lightly stirring the top inch of your soil with a hand fork or hoe. If you notice that weeds have begun to spring up, pull them immediately. Weeds compete with your vegetables for nutrients and water, so it’s best to remove the pestilence as soon as possible. After having success with their first garden, most people plan to plant again the next year. If you decide on using the same location as your previous garden it is advisable that you rotate where your crops were planted. Insect and soil-borne diseases tend to build up and deplete the nutrients in the soil if crops are not rotated. The best plan for rotation is to make sure that the same family of vegetables is not planted in the same place more than once every three years. And there you have it. After six easy steps you are ready to grow the most delicious vegetables you have ever tasted. Nothing beats homegrown, and it’s even better when it’s grown at your own home. Your patience and diligence with your garden will pay off when you are placing fresh-picked veggies on your dining room table. Just remember, some vegetables need to be harvested at different times than others, so check to make sure you don’t wait too long. Enjoy the best vegetables you have ever eaten, and if you have too many – send them our way!